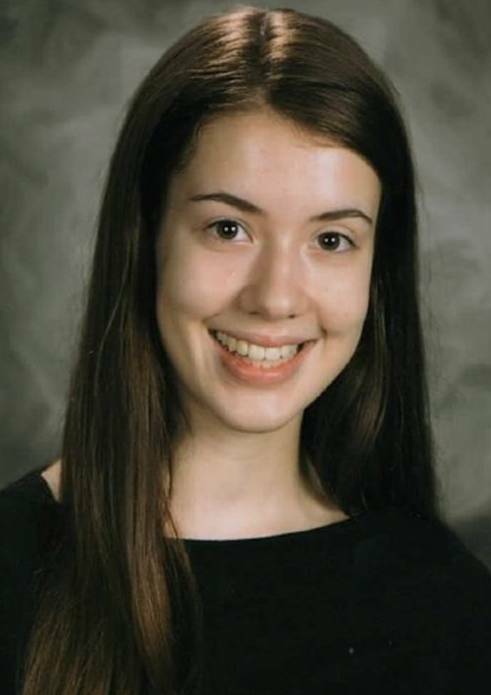 Rachel Dennis, 13, of Renton, Washington. Recently deemed one of the 12 feistiest women in history by internet news giant Buzzfeed, Victorian journalist Nellie Bly remains among the world’s top 10 female adventurers. Her legacy as a pioneer of investigative journalism, intrepid traveller, feminist and humanitarian lives on in best-selling books, television documentaries and editorials. Her grave in New York’s Woodlawn Cemetery draws a steady stream of visitors, says Susan Olsen, Woodlawn’s Director of Historical Services. Exactly 125 years after breaking the record for circling the globe and 93 years since her death, Nellie Bly is still ‘alive and well’, especially in the eyes of today’s young women. Nellie’s ‘currency with the younger set ‘ is demonstrated by the number of American teenage girls who research her legacy for National History Day (NHD), a nationwide competition to promote history and research skills. 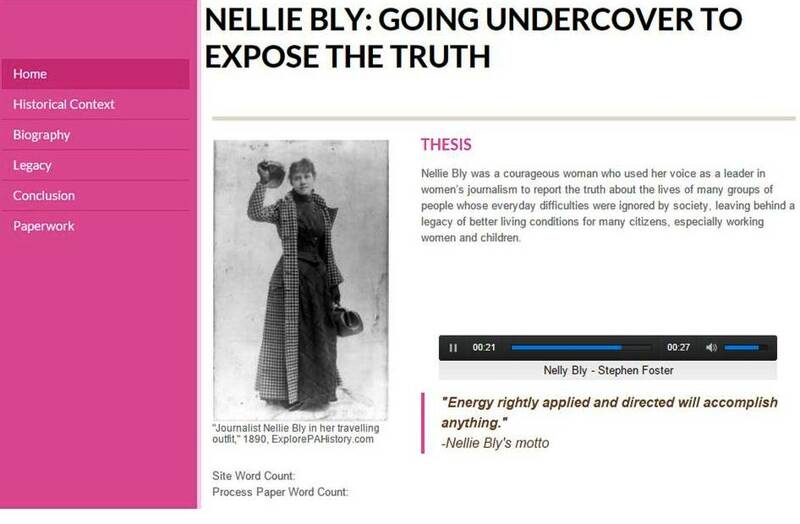 Every year since the NHD competition was launched in 1974, Nellie Bly features among the leading entries. 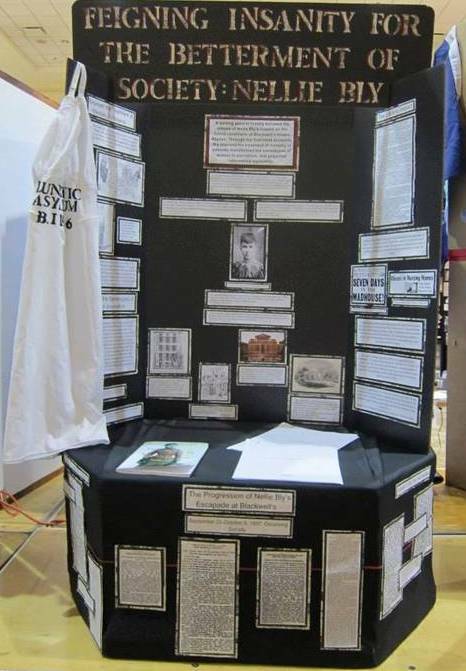 Indeed, at least two projects devoted to Nellie Bly reach the National History Day finals every year, according to Micah Azzano, NHD Director of Public Affairs. 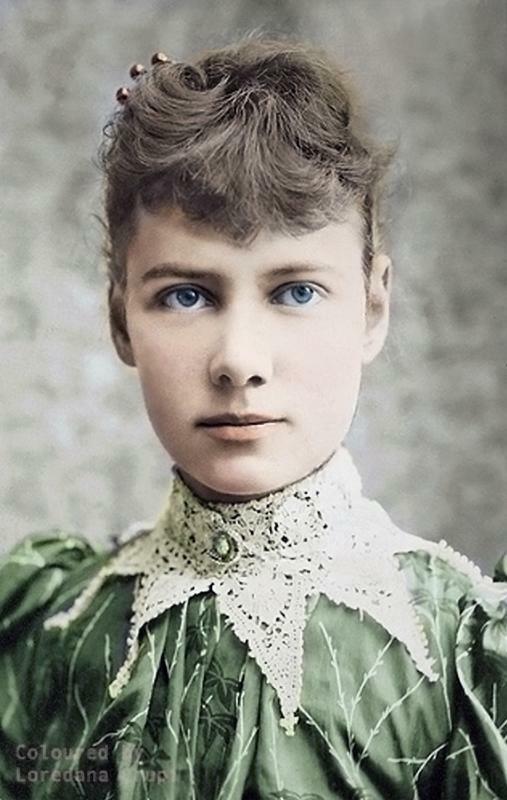 Nellie Bly has also been proposed by fans for inclusion on NHD’s list of 100 Significant Leaders in World History where voting is open to the public. That doesn’t surprise Brooke Kroeger. Saige, Emily and Megan’s performance about Nellie Bly received honourable mention in the National History Day state finals. 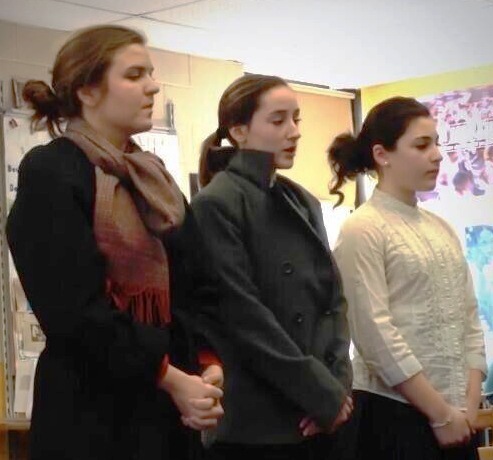 Megan Laham, Emily Manfra and Saige Calkins, all 16, of Stoneham, Massachusetts, pooled their imagination and talent for a performance about Nellie Bly that made it all the way to NHD’s state finals last year and received an honourable mention. 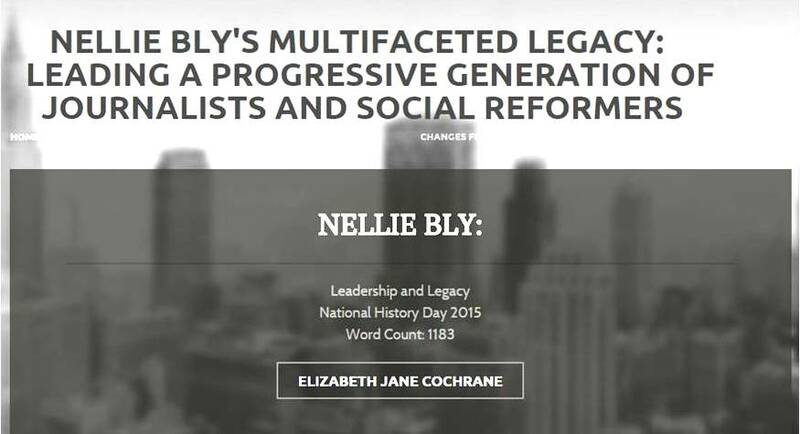 Jaqui Hale, Sarah Nosal, Rachel Arnold, all 16, and Nili Ezekiel, 17, of Bedford, Massachusetts, saluted Nellie in their comprehensive website for the NHD competition: Nellie Bly’s Multi-faceted Legacy: Leading a Progressive Generation of Journalists and Social Reformers. Jacqui, Sarah, Rachel and Nili of Bedford, Massachusetts teamed up to create a comprehensive website. “All of the things that she led during her lifetime then transferred into a lasting legacy in journalism and social reform,” said Jacqui, who represented the group. “…She taught us that women can be brave and accomplish many things as long as they push themselves like she did. She was so helpful to those she considered helpless, and often ignored her own safety because she was set on learning the truth,” says Jacqui. Rachel Dennis, 13, of Renton, Washington, is putting the finishing touches on a website for NHD’s latest competition. Callie Slevin, 16, of La Crosse, Wisconsin first ‘met’ Nellie Bly at Washington DC’s Newseum where she features in a display and film. Callie’s NHD exhibit Feigning Insanity for the Betterment of Society: Nellie Bly demonstrates Nellie’s courage in revealing the ‘horrid mistreatment of patients in asylums during the late 1800s’ which she endured and wrote about in the newspaper and later in her book Ten Days in a Mad-house. Callie most admires Nellie’s ‘unending ardour.’ “She not only made waves within the field of journalism, but she made waves as a woman in the field of journalism,” Callie says. Congratulations! Please keep me posted. Thrilled for you.